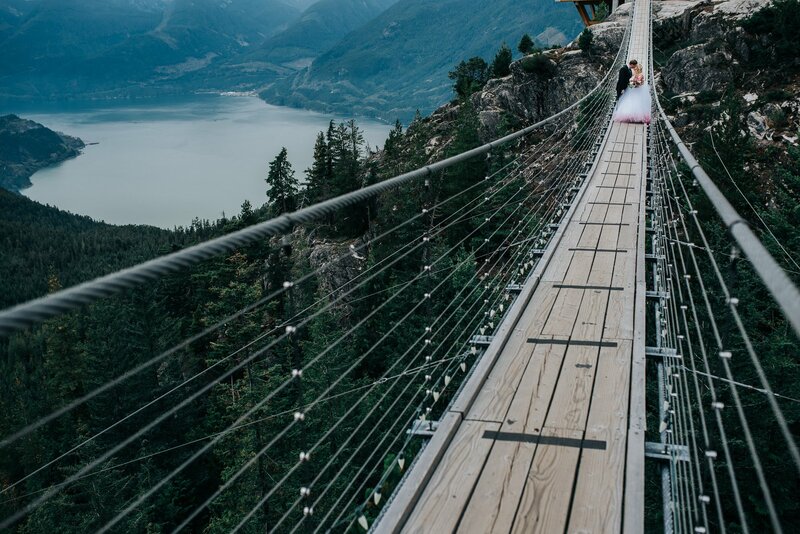 We were super excited when we got the inquiry to photograph Crystal and Dan’s Sea to Sky Gondola wedding in Squamish! 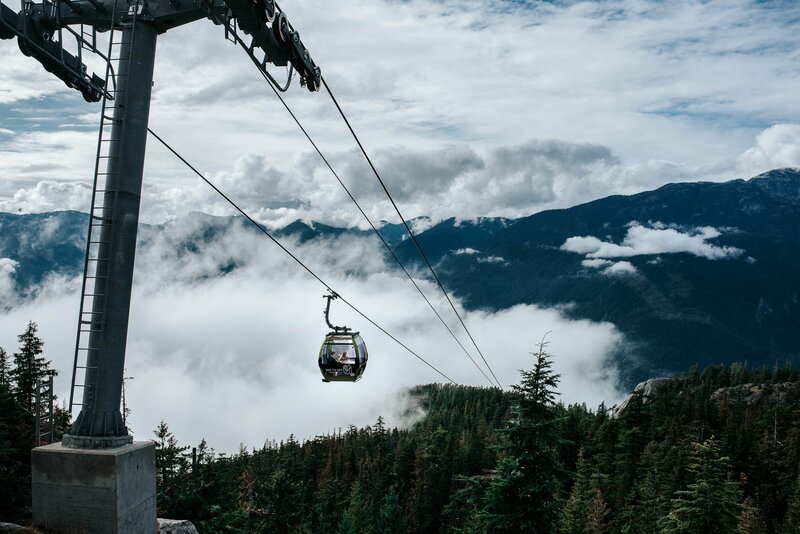 The Gondola had been on our radar since hiking to the top of the mountain when it first opened, so we had a feeling it would probably become one of the best venues in Squamish. 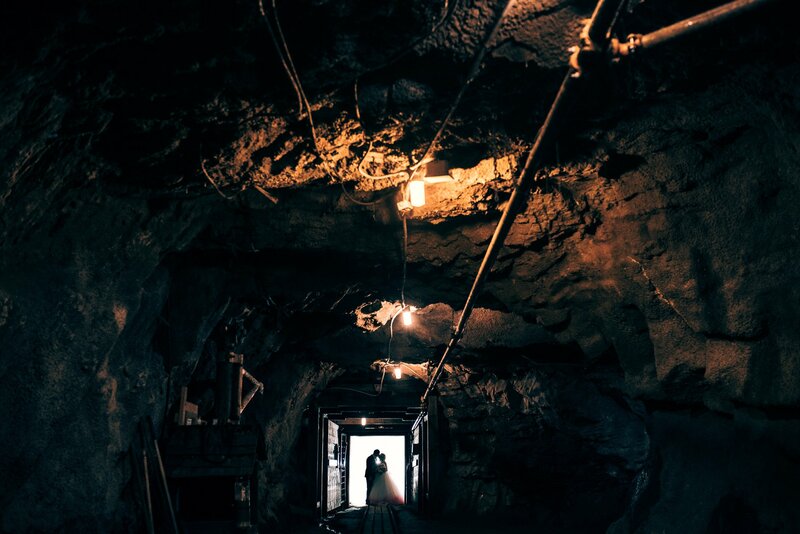 We went to the Britannia Mine Museum for a nice contrast to the nature photos on top of the mountain. 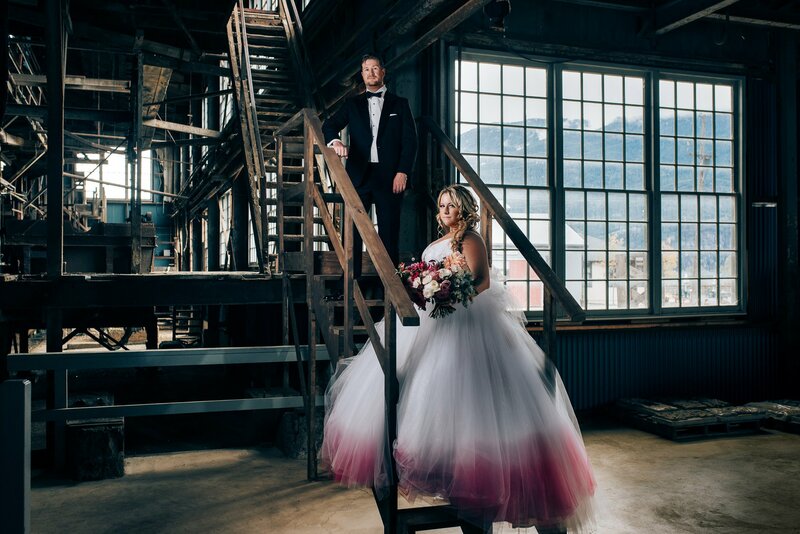 There was so much texture with the natural stone and structures, combined with so much natural light to work with in that spot, that every location we chose for a photo was so interesting and different. 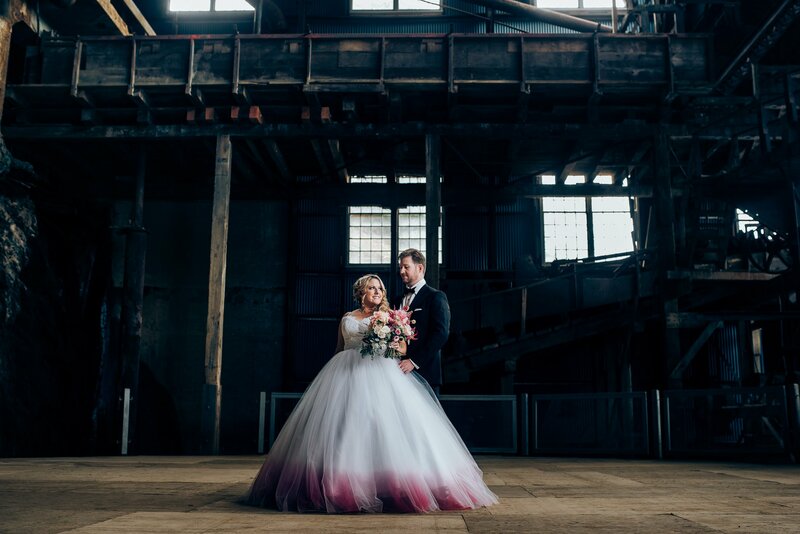 We especially loved our guide that took us around the grounds, making us laugh and showing off the acoustics in the mill by singing a capella. 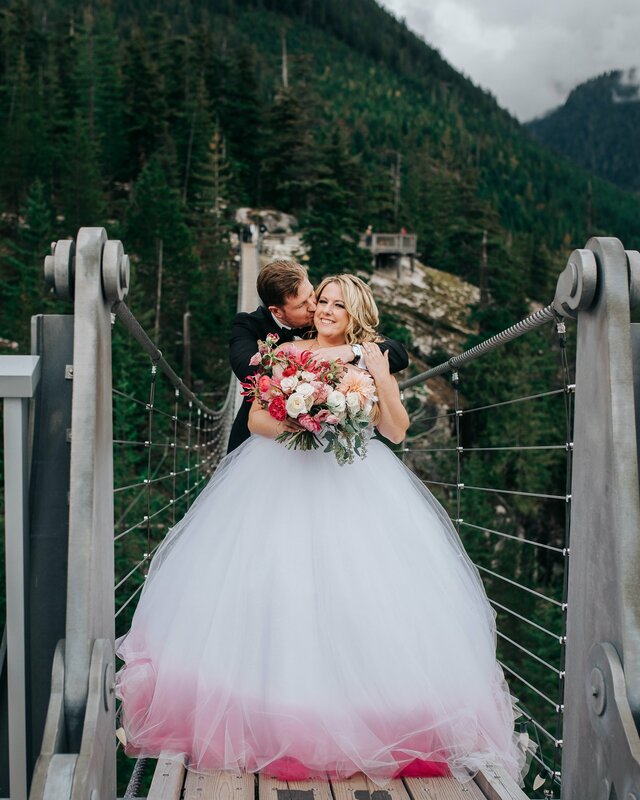 We headed up to the top of the mountain for the rest of the day to get a few more photos of the couple and start the wedding events. 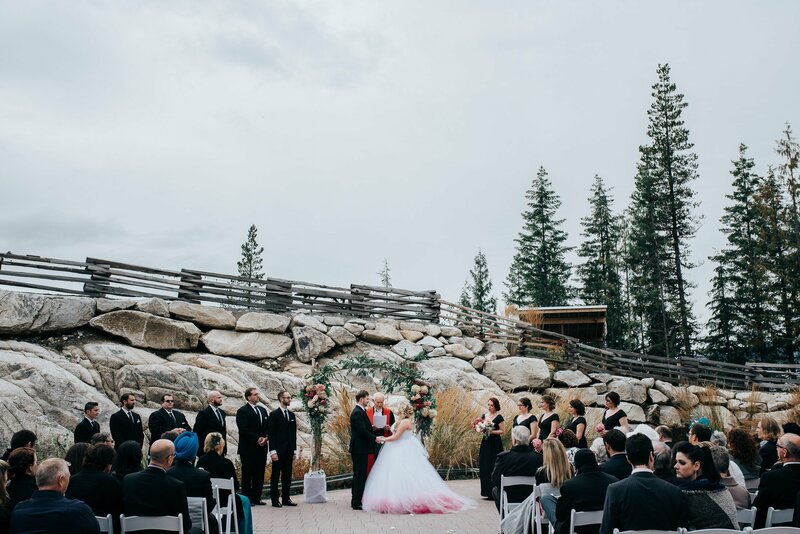 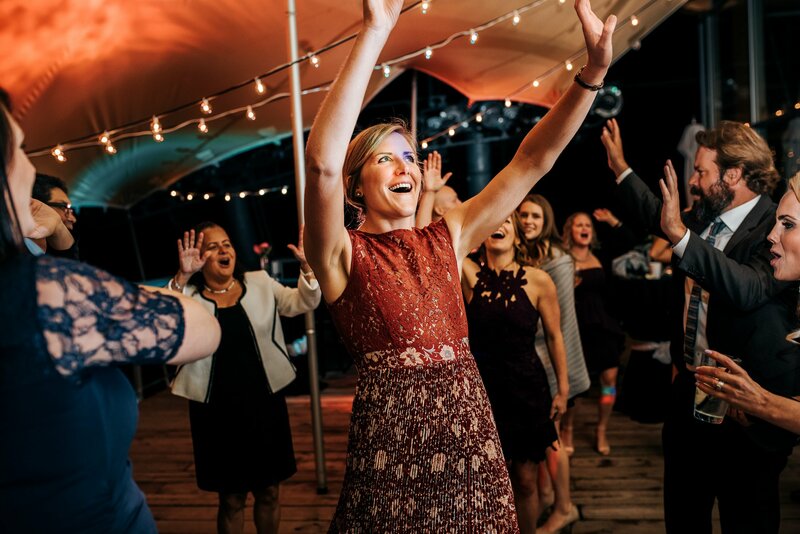 We always love venues that have the option to have both the ceremony and reception in one spot, and with the mountain views at this venue, it was the perfect wedding venue. 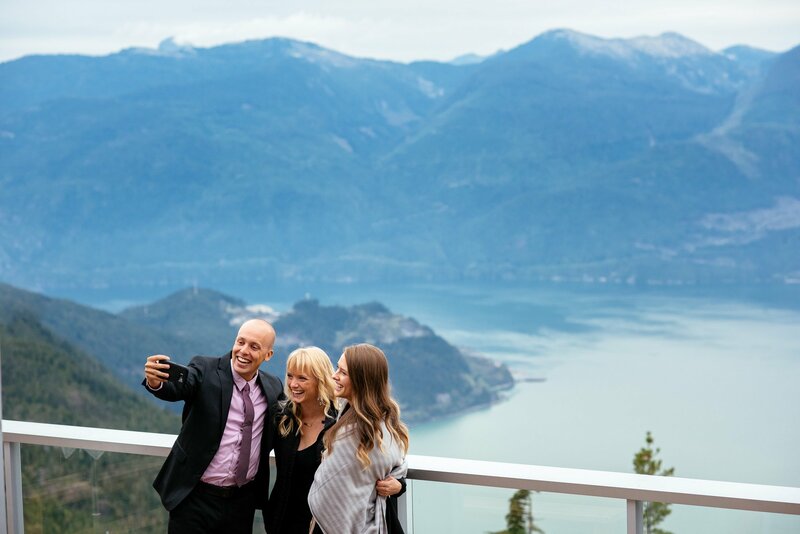 The Sea to Sky Corridor has some of the most amazing views we have ever seen in the world, and it’s so close to Vancouver! 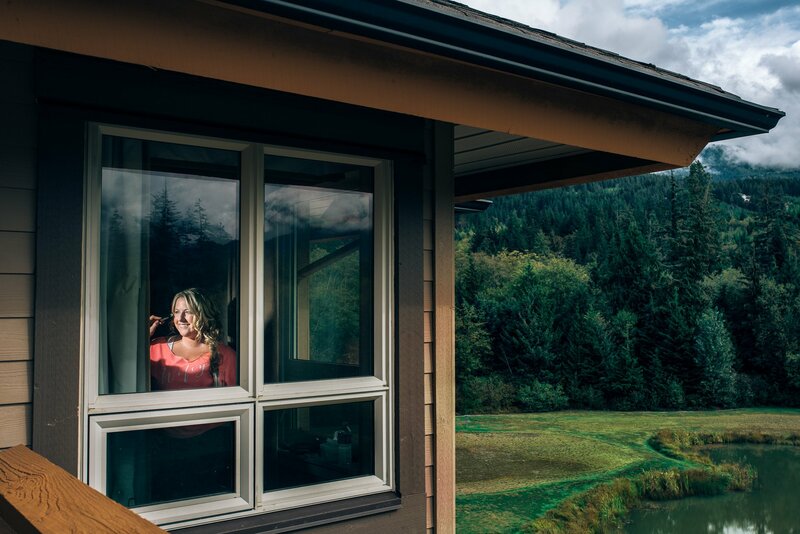 Crystal and Dan really wanted to spend as much time outside taking in the fresh mountain air as they could. 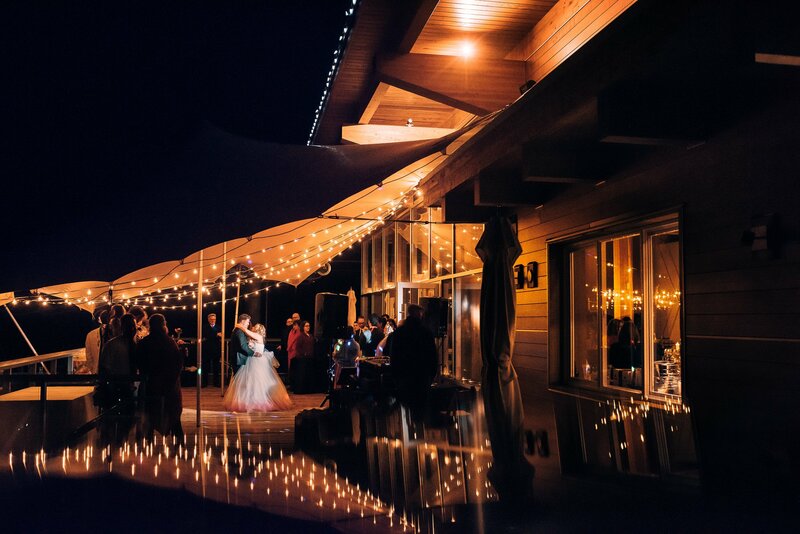 So they had an outdoor ceremony as well as the cocktail hour and dance party on the covered deck. 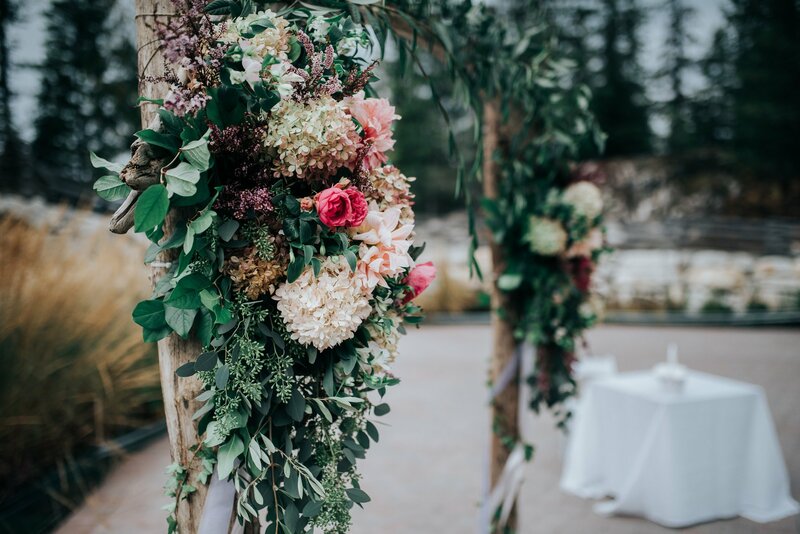 We constantly overheard guests being blown away by their choice of location and they way they decorated the wedding so tastefully. 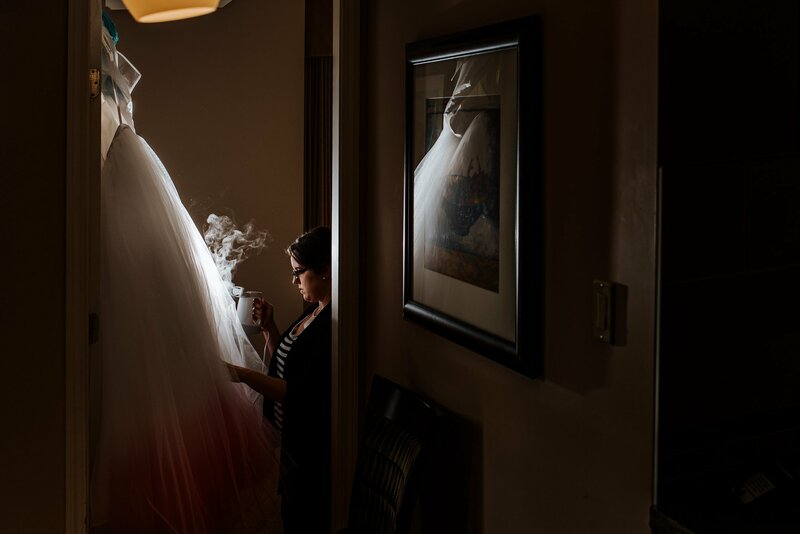 Crystal had the most beautiful princess style dress custom made by Kathryn Bass Bridal, where the bottom of the dress was dipped in pink. 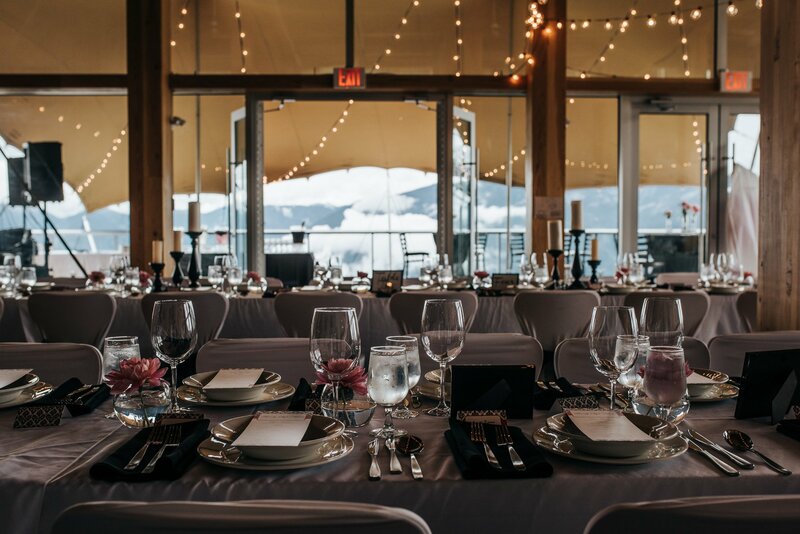 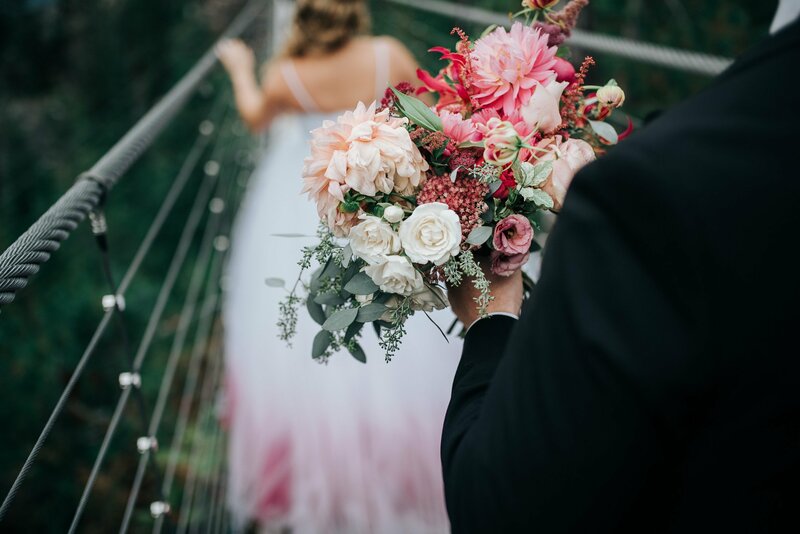 The wedding was decorated beautifully by Sea to Sky Celebrations with some amazing flower arrangements by Celsia Florist. 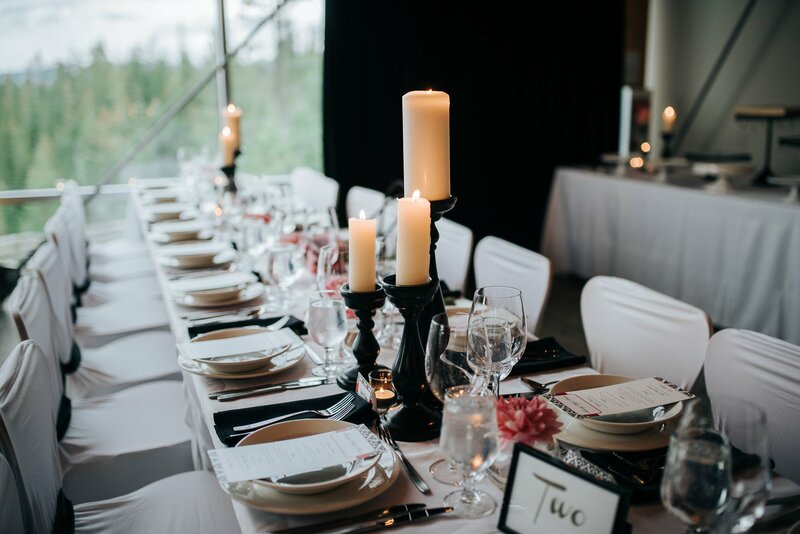 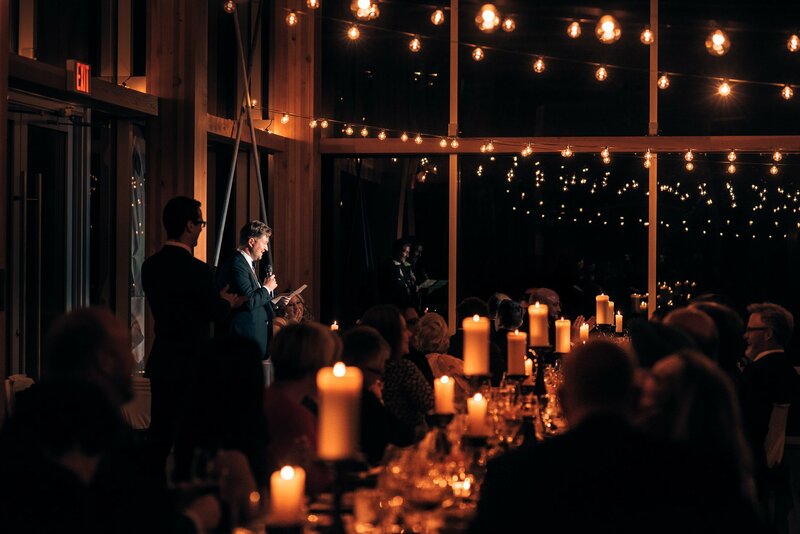 The reception had a formal rustic theme with black and white with a punch of pink, topped off with the Edison bulb string lights, candles and rustic wood beams throughout the venue. 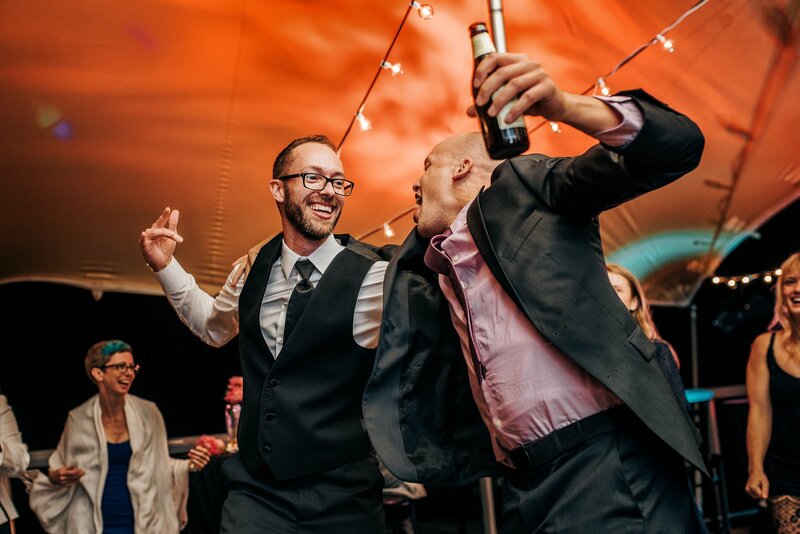 Getting to dance outside, no noise complaints because your on top of a mountain! 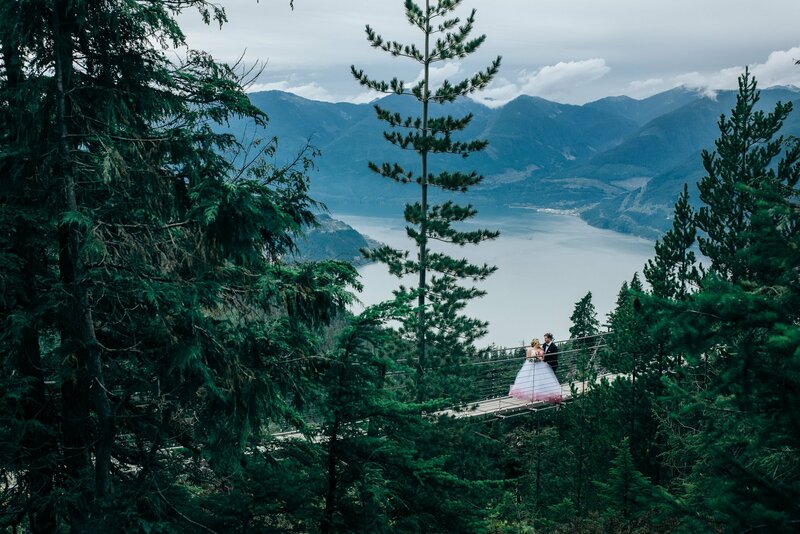 Thank you Crystal and Dan for choosing us to photograph your gorgeous Sea to Sky wedding. 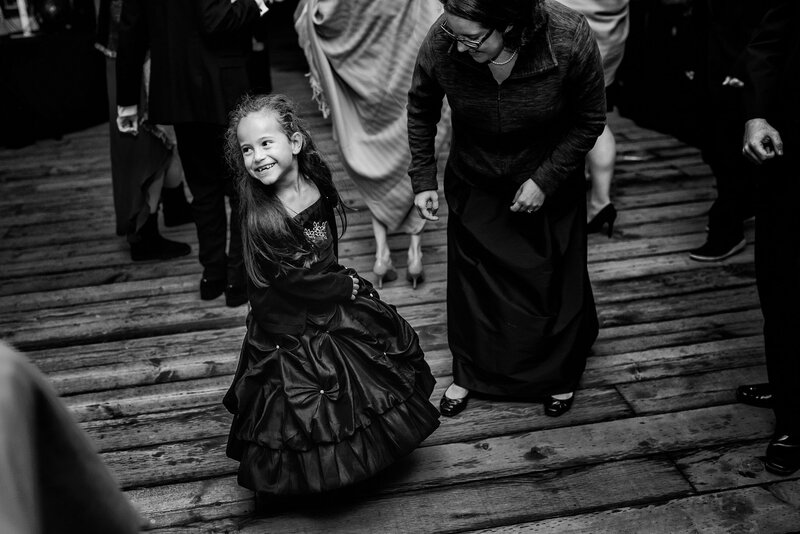 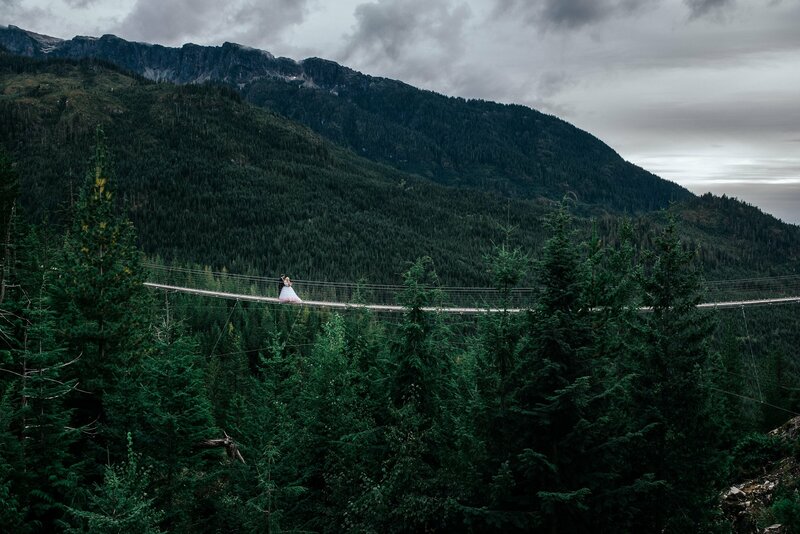 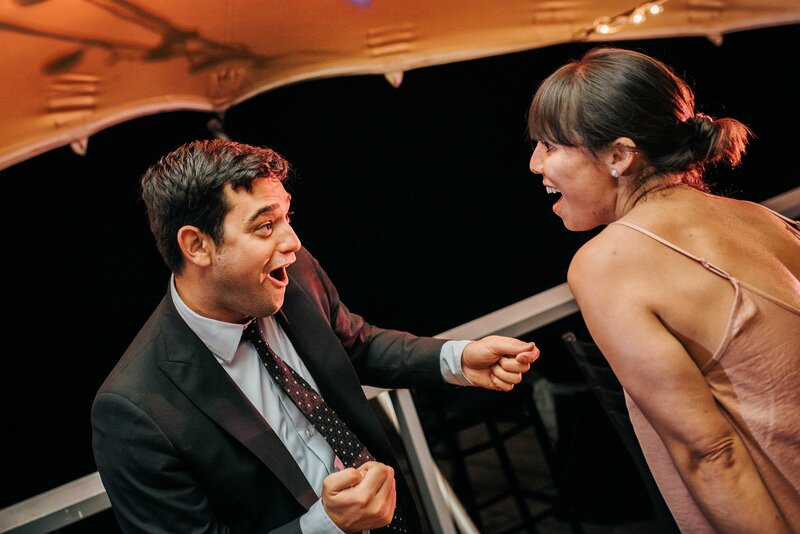 We love shooting weddings in Squamish, and yours was absolutely perfect. 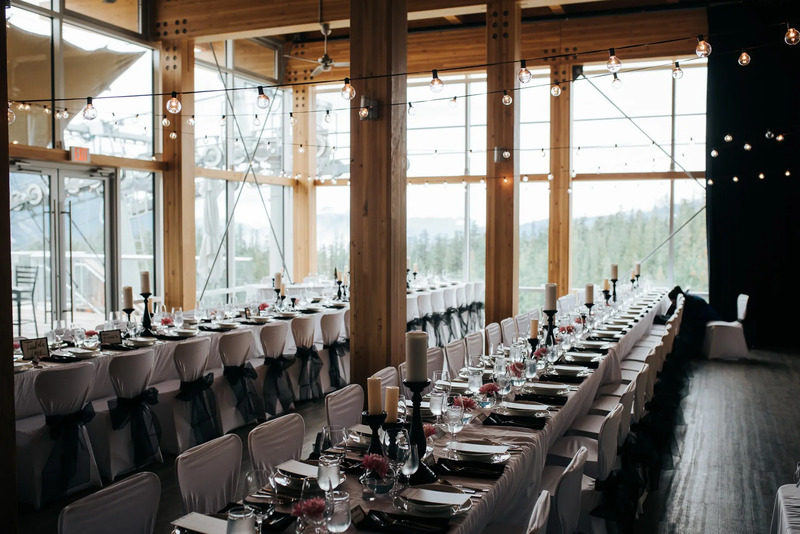 Contact us to let us know about your wedding and get prices. 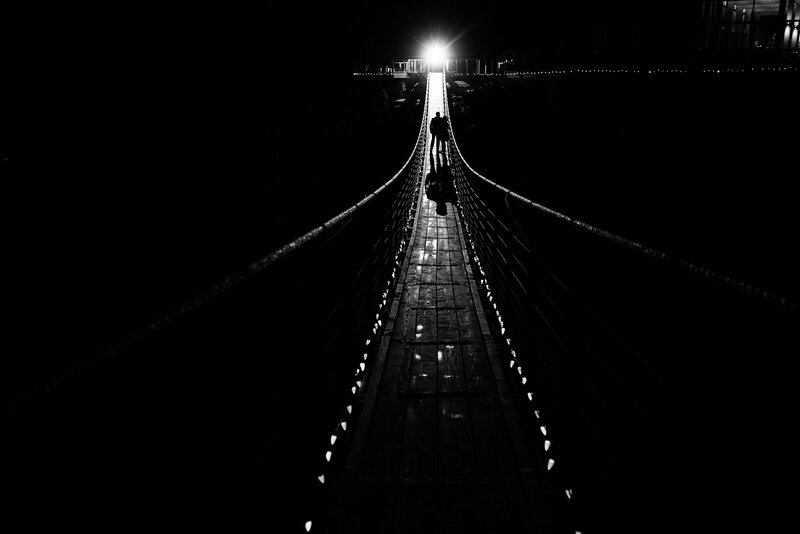 These are truly awesome and stunning photographs.